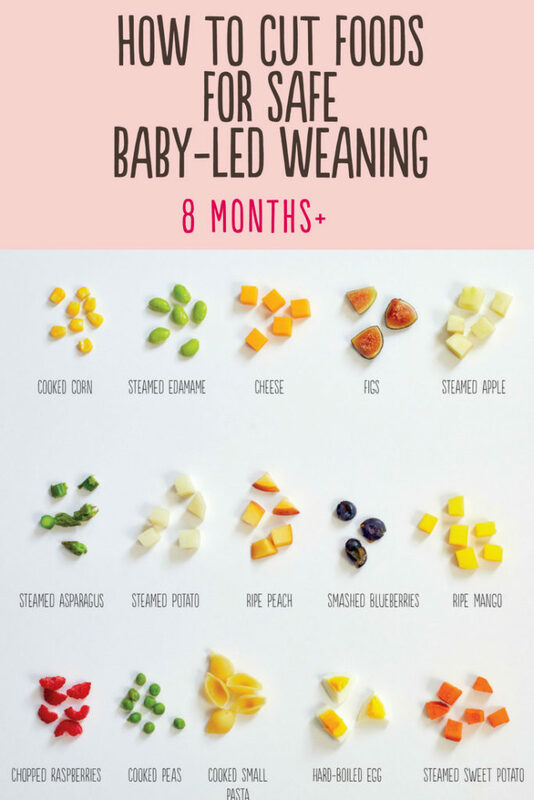 When your baby is practicing baby-led weaning, one of the most important things to know is how to cut foods so they’re safe and easier for your baby to eat. But, the best food shape for your little one changes as your baby gets older. 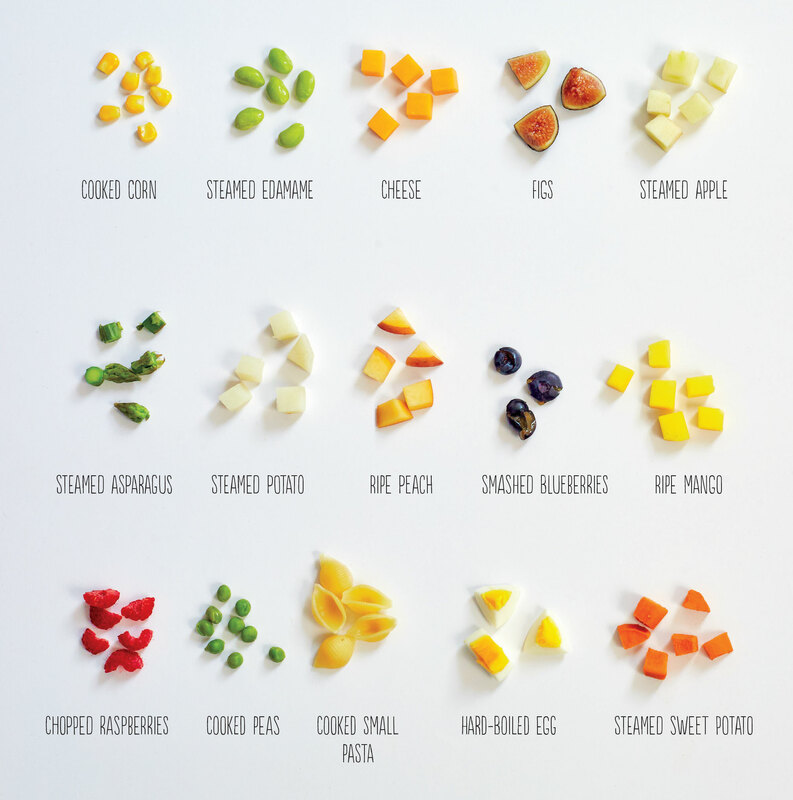 When your baby is just starting solids around age six months and experimenting with finger foods (whether you’re sticking exclusively with baby-led weaning or enjoying a mixed approach), the best shape for easy and safe eating is stick form. At this age most babies pick up pieces of food with their whole palm. So if the food is cut into sticks they can palm it, and still have some food accessible on at least one end for eating. Here’s more info and a chart illustrating some shapes. But between 8-10 months most babies develop their pincer grasp, which means they can pick up small pieces of food between their thumb and forefinger. 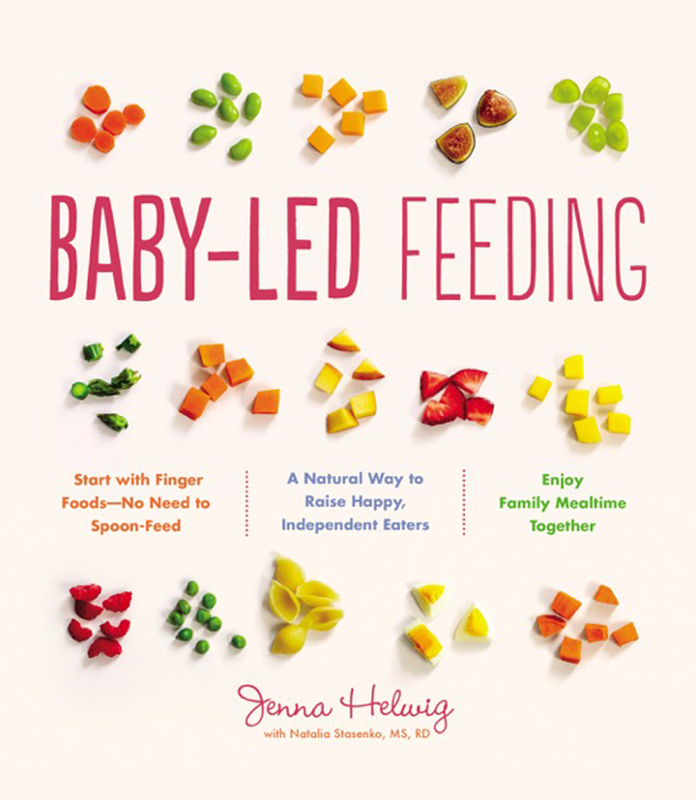 Now’s the time in your baby-led weaning adventure to transition your baby’s finger foods from sticks to small pieces. The rule of thumb, so to speak, is that food pieces should be about the size of a chickpea. Larger chunks could be a choking hazard. Texture matters too. Make sure the small pieces of food pass the “squish test”, meaning that you can smash them with gentle pressure between your thumb and forefinger. Give your baby a head start on foods like beans, blueberries, and peas by smashing them gently before serving. And it’s okay to continue offering your baby safe finger foods in stick shapes. Just make sure to include some smaller pieces in the mix so she can practice her handy new skill. 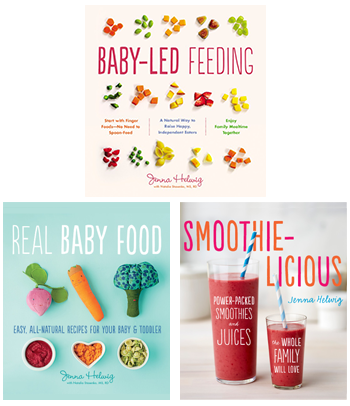 Want more baby-led weaning inspiration and recipes? My cookbook Baby-Led Feeding has over 100 ideas for beginning self-feeders and family meals that everyone will enjoy, including this mouth-watering Slow-Cooker Maple-Dijon Pork.